Internet marketing is a great opportunity for franchise businesses. Effective marketing works to raise awareness and strengthen brand identity. Both of these are key to making your company more profitable. HeyGoTo Marketing & Social Media knows all about working with franchises. Our marketing efforts have helped well-known companies like Massage Envy, The Joint, Melty Way, and Rescue Roofers, among others. 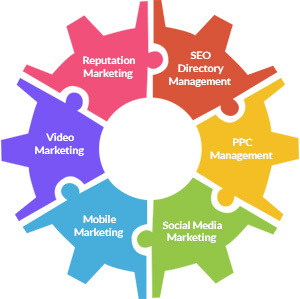 If you’re looking for the perfect franchise marketing partner, HeyGoTo can help. We have a proven track record with a long history of success. In addition to our regular efforts, we also help corporate offices create specific marketing packages for their franchisees. We understand that your franchise is unique. That’s why HeyGoTo creates custom packages designed to meet the specific needs of each client. Our team will be able to help you in the areas where you need it most. SEO directory management – We can increase your presence on both local directories and national ones like FranchiseGator.com. PPC management – Powerful regional PPC ads can boost specific campaigns. Social media marketing – Build a strong presence for your band on social media. Mobile marketing – Reach out to your customers through text/SMS messages. Video marketing – Get viewer attention with optimized videos. Reputation management – Put your best foot forward with positive reviews. We have experience working with a number of different industries, including dental marketing, contractor marketing, and others. Whatever your field, we’ll be able to help. When you partner with us, your franchise will get cash rewards and commissions for each franchisee that signs up with our services. As this happens, we’ll work with individual franchisees to help them reach their marketing goals. This makes it easier to increase your overall profitability while also improving your marketing. Get in touch with HeyGoTo today to find out more about franchise marketing!